Does your dog come to you every time you say their name, in different locations, with distractions around? Is your goal to have a dog you can take off-leash at the beach or an agility class and be able to trust that they will come when you call them? This class is designed to help teach you and your dog the principles for a really reliable recall. Oftentimes our puppies are good at coming to us and following us around, but this begins to fade as they get older and more interested in the big wide world. 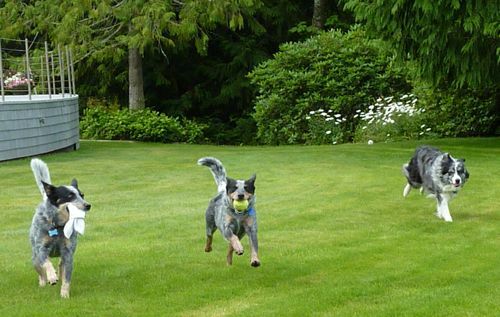 Sometimes dogs are given off-leash privileges before they are ready, and this can lead to a less-than-reliable or no recall at all around distractions. We will work on specific focus exercises and recall work, and you will be given homework exercises at the end of each class to work on with your dog. Since this will be a cumulative class, it is strongly advised that you attend the first class of the session. For this class you will need a 20-foot training lead (basically a long leash), available at Lemo’s and other pet stores. It would also be advised to have a front-clip harness like an Easy-Walk or Sense-ation harness as well.